It’s bad enough not having a Valentine, but it’s worse when you do and you can predict what you’re going to get. Maybe dinner, red roses, candy or some other materialistic item that’s supposed to make you scream out “I love you so much!” Yeah, right. 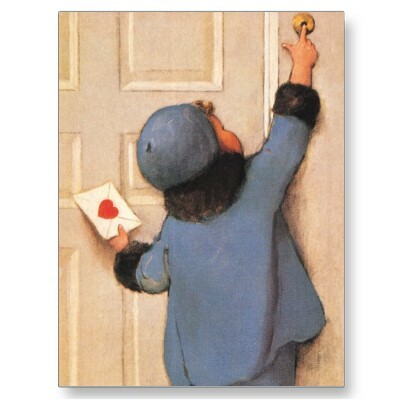 Instead of buying a cheap card, why not take the time to write an intimate and passionate letter to the one you love. Why not make a self-prepared picnic by candlelight for the one you love. You could also let your significant other just simply relax and you could take over some of his/her responsibilities for that one night. I realize that sometimes it’s hard actually to get together and make plans for Valentine’s Day. That’s why you should treat everyday like it’s Valentine’s if you really love someone. That doesn’t mean you have to shower him or her with gifts. It also doesn’t mean that you should neglect him or her and totally try to kiss up on Valentine’s Day. Valentine’s should be a day of love and appreciation. Whether it be your significant other, mom, dad, brother, sister or your child, everyone should have a Valentine. Valentine’s has become so commercialized. People measure their love for one another by how much money they spend on each other, which is shallow. I’d rather have someone make me a card with a sincere message from the heart than buy one and sign off on it,” The card says it all. For those who don’t have a “special someone,” don’t be depressed. Try to distract your mind. Don’t torture yourself and think about all the lovers and how they’re spending Valentine’s Day together. Believe me, for a lot of couples, Valentine’s is the worst day of the entire year. I hope that this Valentine’s Day people use some creativity and sincerity. After all, Valentine’s is a day for love and if you love someone, really show them.